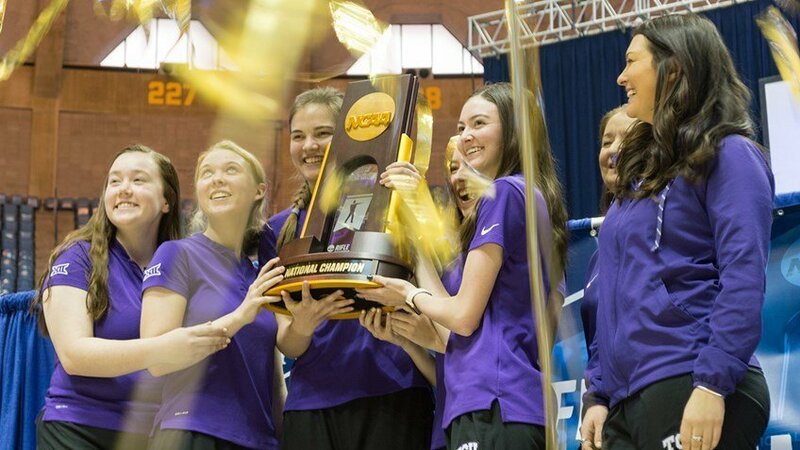 For the third time, Texas Christian University Horned Frogs (TCU) team won the NCAA Rifle Championship title, previously winning in 2010 and 2012. Star shooters Elizabeth Marsh and Kristen Hemphill led the TCU rifle team throughout the match. Individual and team competitions in smallbore three-position (60 shots) were held Friday, March 8, and individual and team competitions in air rifle (60 shots) were held Saturday, March 9. The overall team champion was determined by combining the smallbore and air rifle team total scores into one aggregate score for each institution. TCU’s final score was 4699-298X. In second place was host school West Virginia University (WVU) with 4692-284X, and in third was the Air Force Academy with 4687-197X. “I’m so proud of this team and all they have accomplished. They put in the hard work and deserve this win,” said Coach Karen Monez, who was showered with confetti and streamers upon the win. 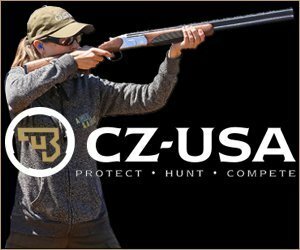 According to Shooting Sports USA, TCU and WVU were tied at 2331 after smallbore on day one, with TCU winning the tie-breaker via X-count 127-112. TCU was the runner-up in the team air rifle championship on Day 2, facing another tie against the Air Force Academy at 2368. Match officials looked to the X-count, which gave Air Force the advantage 181-171. Marsh, a sophomore, won the individual smallbore championship on day one with an impressive performance leading into the final, including a perfect prone score. She would go on to win the smallbore final with a score of 456.9. Hemphill mimicked Marsh’s performance during day two’s air rifle final in the face of tough competition. The qualification round included a record-breaking score from Rosemary Kramer of Georgia Southern University, who fired a near-perfect 599-50X. Hemphill’s qualification score was 593-44X. Rosemary Kramer, a senior at Georgia Southern University, set a new NCAA air rifle championship record, breaking the previous record set in 2013 by WVU’s Petra Zublasing. As the last two shooters standing, the pair from TCU would swap the top spot several times over the next six rounds of the final. It all came down to the final two shots, but Hemphill managed to outduel Henry to become the 2019 individual air rifle champion by the slimmest of margins 248.2-247.9. For this championship the NCAA invites the eight top-ranked schools, who send five-person teams. In addition, the top four air rifle and top four smallbore rifle individuals are invited, for a total of 48 shooters representing the elite of collegiate rifle competition. This year’s event was the first to be ever fired at WVU, which has the most-ever NCAA rifle championship wins. A record-setting crowd of 2,215 fans easily doubled the previous record of 919 set at the University of Alaska-Fairbanks in 2007. Competitors were using the school’s new Bill McKenzie Mobile Rifle Range, a set of firing points using the Megalink electronic target system. The mobile range was set up in the WVU Coliseum, which proved to be an excellent venue for the two-day match.